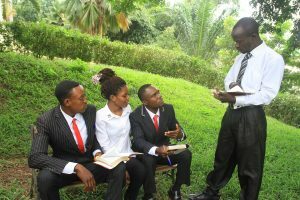 Pastor Jerry is the leader appointed by Christian Faith Church to lead the church that End Time Harvest Bible College recently helped plant in their last crusade. Since the church was established, Pastor Jerry testifies the membership has grown by 50%! Pastor Jerry shared a little about a few of the members. He has seen many who had drifted away from Christ be restored in their relationship and walk with Christ! Members testify to the manner in which God’s presence is manifested each Sunday. Specifically, Pastor Jerry spoke how Sister Juliet was jobless, but now through prayer, she has obtained employment! ← The 2018 Academic Year has begun!